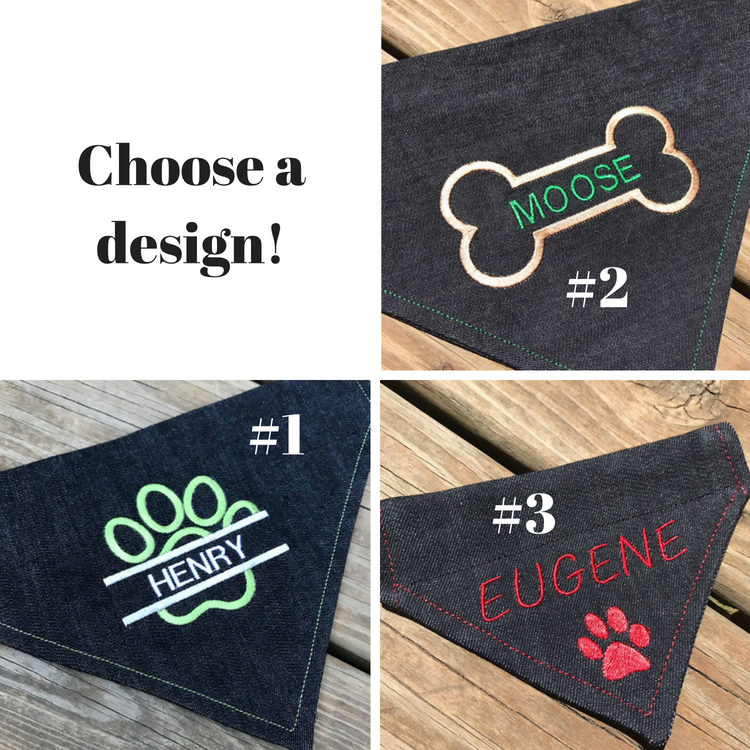 I'm thrilled to introduce the newest PiePie Designs product... Personalized pet bandanas! Scroll down for some super cute dog photos and find out how to order your own! That's our boy Henry (or Hank sometimes). He doesn't look too thrilled, but I promise he loves his new fashion statement. 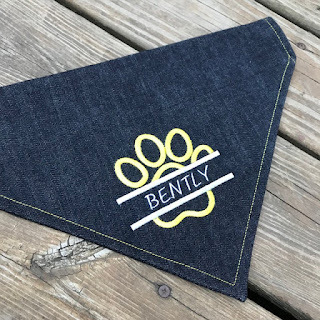 What's so great about these pet bandanas you ask? 1. They're handmade using high quality denim, so they're durable and will withstand your pet's wear and tear. They slip right over your pet's collar so they won't fall off. 2. They're personalized! 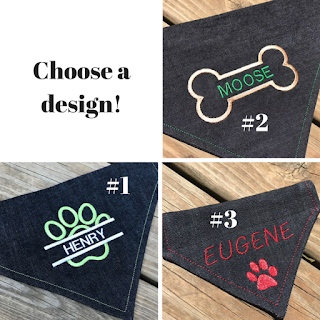 Using a high-quality embroidery machine, your pet's name is stitched into the one of a kind bandana. 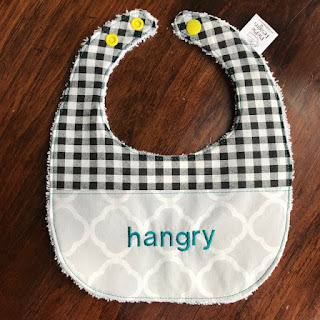 You get to choose the font and the colors. Are you wondering how to place an order? 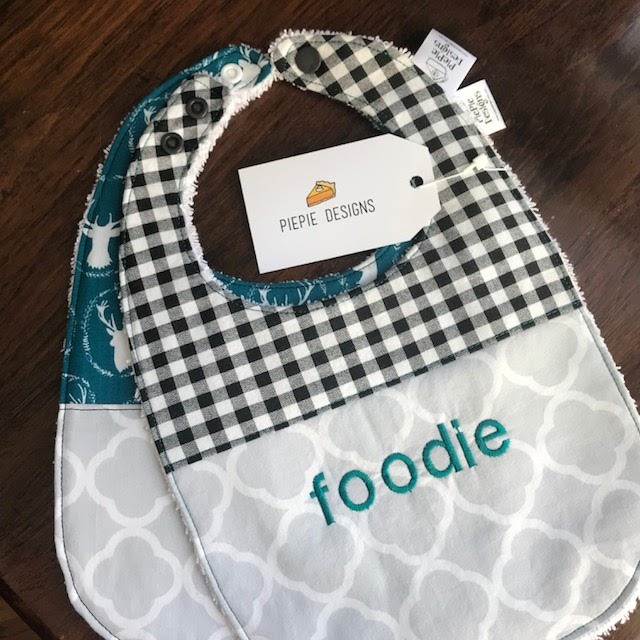 Submit an order form here! 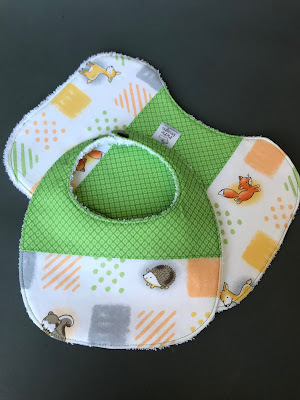 Visit my Etsy shop to see my latest creations and follow me on Instagram and Facebook to hear the latest! 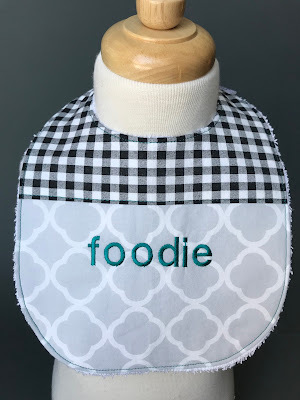 I may be biased, but I think I make the best baby bibs. Here are the 5 reasons why. I mean, how often have you seen a baby wearing a bib that says "hangry", "foodie", "feed me", "more milk", "pass the gravy", "nom nom"? Probably not very often. Imagine the laughs you'll get when you give one of these as a gift! 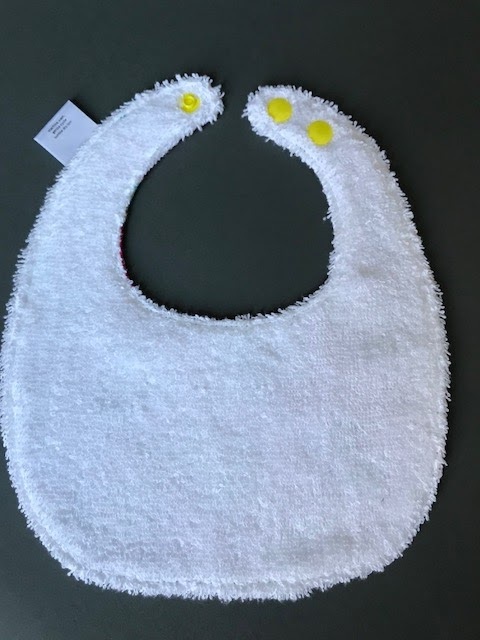 Or how about the smiles you'll get when your kiddo is wearing one. 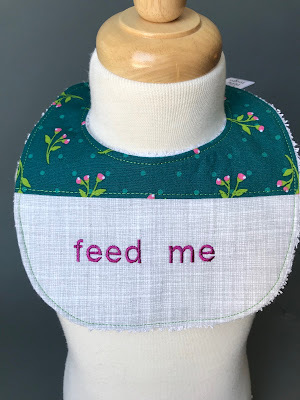 Yes, that's right, I make each bib by hand, just me and my sewing machine. 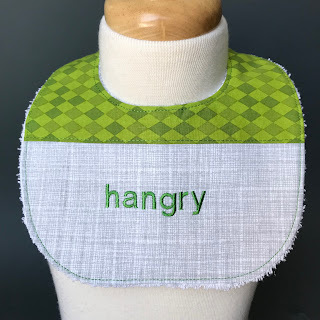 My favorite part of the process is the initial design phase. 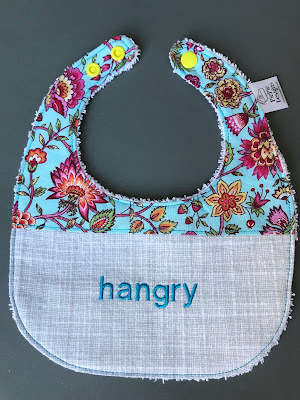 Figuring out what to embroider on the bib and choosing which fabrics to use. You can be assured that the quality of the bibs and the attention to detail is incredibly high meaning you get a quality product. 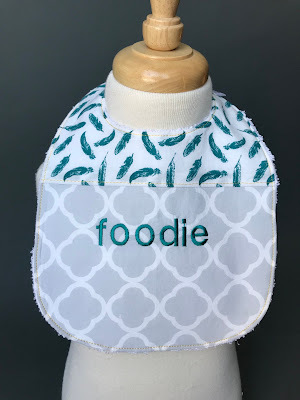 Also, I take custom orders so you can design your own bib! The bibs are lined with a real towel making them really soft and absorbent. 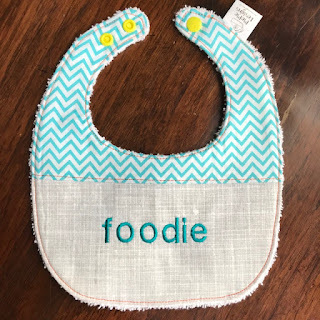 That's right, I buy brand new towels and then cut them up to make these bibs. 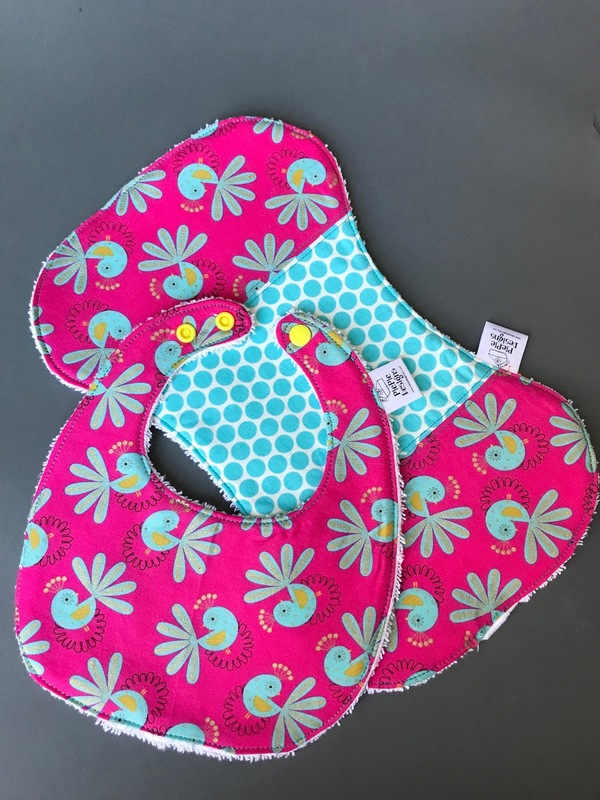 The bibs come in 2 different sizes, 0-6 months and 6 months+. 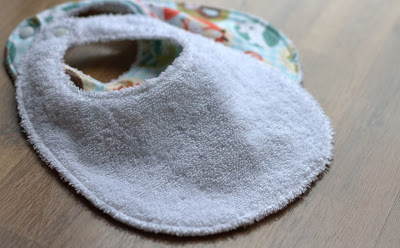 Within each size there are 2 snaps to allow adaptability within the size. Best case scenario is that the child can wear the bib for a significant amount of time and then size up when they are ready. Because of the handcrafted, absorbent and high-quality nature of these bibs, they're up for the challenge of the messiest eater or most proficient drooler. What's even greater is that they can be worn in reverse for those really messy meals. 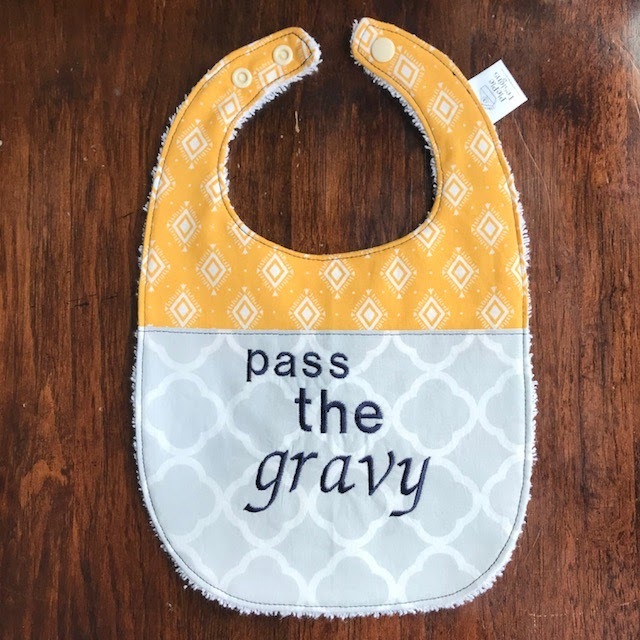 Just turn the bib over so the towel is facing outward and don't worry about getting that spaghetti sauce on the front of the bib! Check out my Etsy Shop for the current bibs available!! 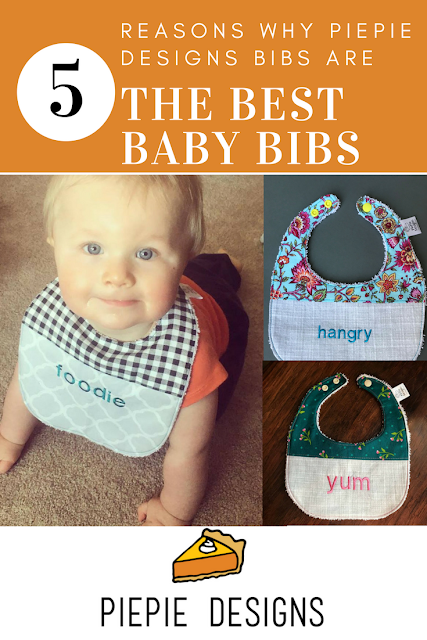 All bibs pictured below are available in stock or can be made just for you! I made my first baby bibs way back in 2014 for a dear friend of mine (Hi Nikki!) 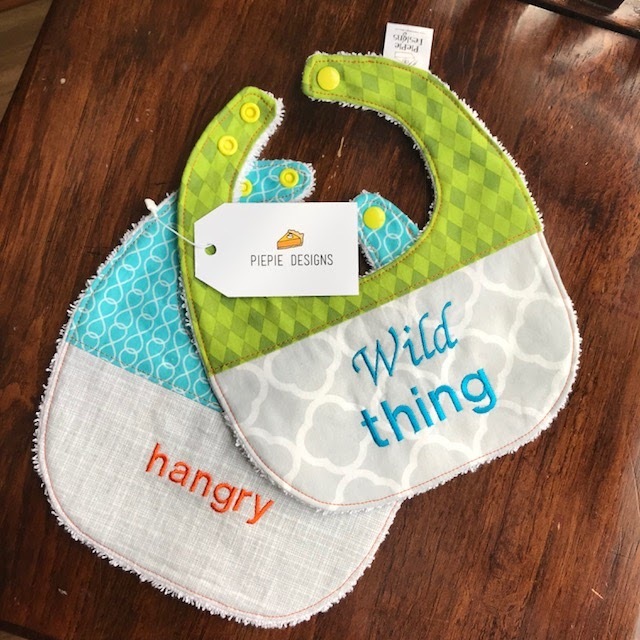 who was about to have her first baby (see that post here). 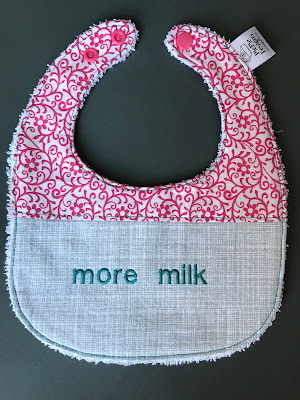 As I re-launch PiePie Designs I notice it is almost exactly 4 years to the day after that first baby bib post. What inspired me to re-launch PiePie Designs you ask? 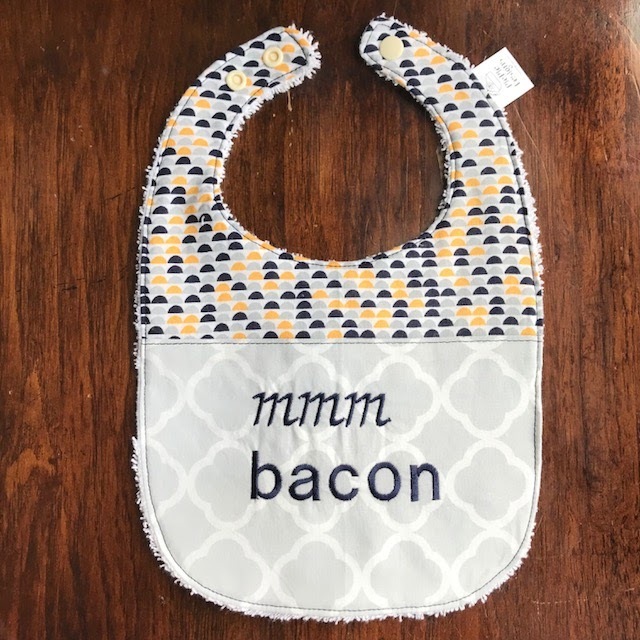 Nikki is having another baby and I needed to make a baby gift! Once I got to sewing to make the gift, I just wanted to keep going. 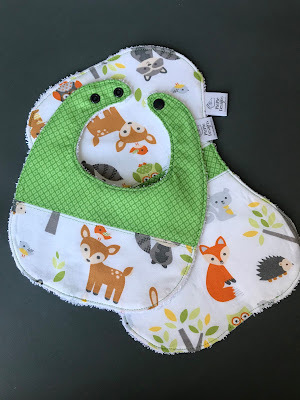 In the span of a few days I made about 30 bibs! This is a pretty good example of my tendency to go all in on things. 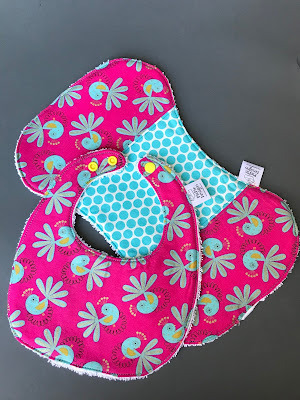 I made some bibs and burp cloths without embroidery as well. I quite like the way they all turned out, but the 'foodie' and 'hangry' bibs seem to be the most popular. 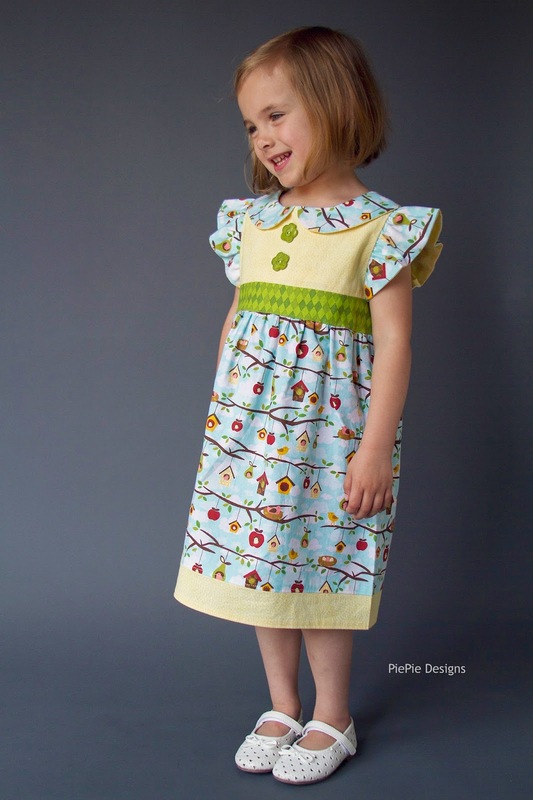 I have been just itching to get back to sewing, photographing and blogging. It's been nearly 3 months since I've had any spare time to do so, but I hope to be back in action soon! Today I thought I'd show off my daughter's back to school dress... from last year. Yes, last year. 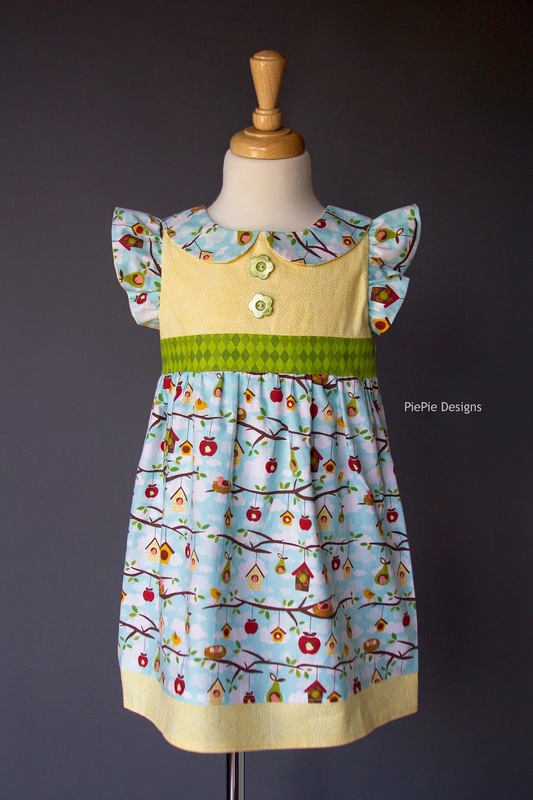 This dress was made using the Blaire Pattern and I just love how it turned out. 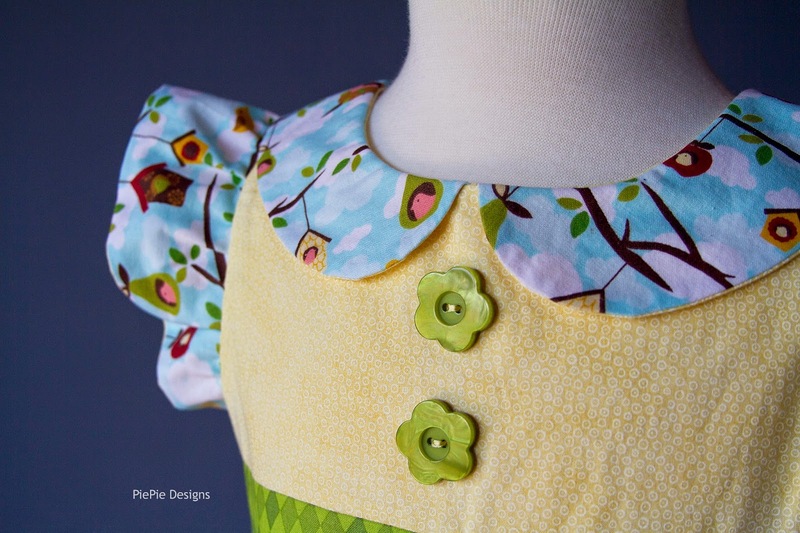 It features flutter sleeves and a Peter Pan collar. It also features a zip back. 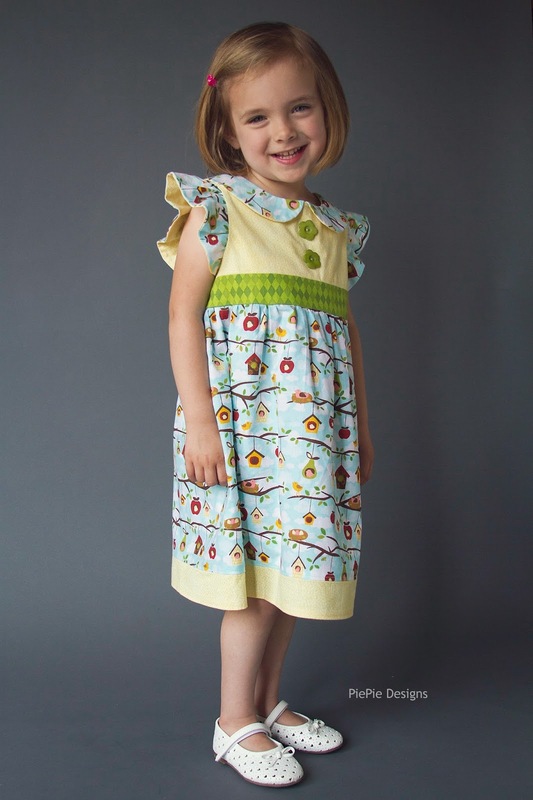 The Blaire Dress comes in sizes 12-18mos-8 and features a full step-by-step tutorial that is perfect for beginners. 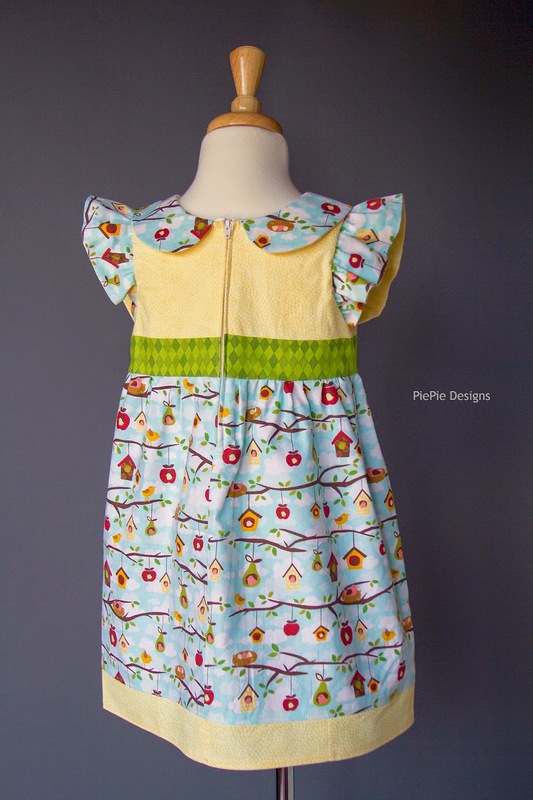 I was definitely a beginner when I made this dress and I think it turned out great. 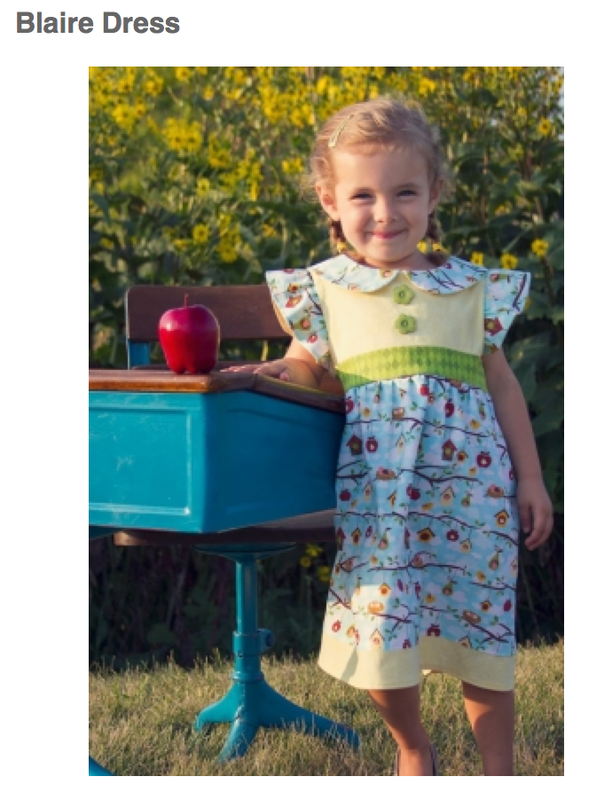 And look, you can even find PiePie on the listing for the pattern!! Look how little she was! What a great week of link ups we had last week! I'm so glad you all have stuck with me (even in my absence) and are still willing to take the time to stop over and show off your work. 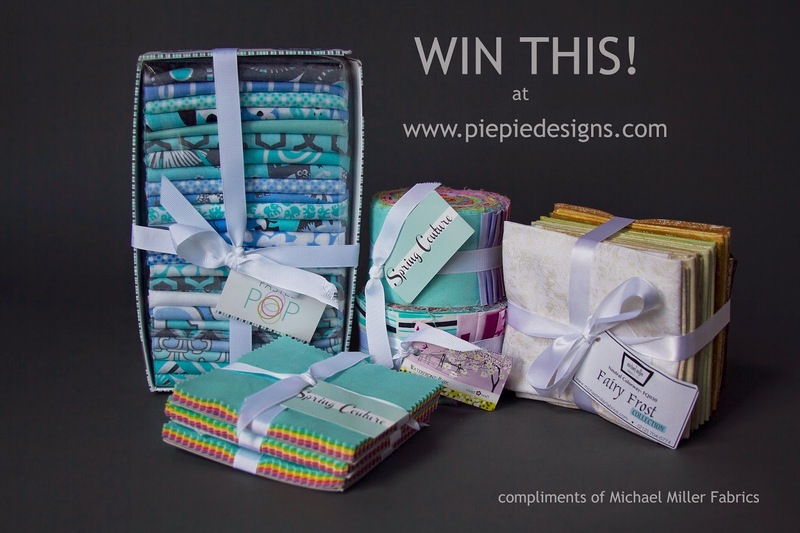 I suppose it could be the fabulous prize up for grabs, but either way, I'm still grateful. Now it's time to pick a winner!!!! My random number generator has picked lucky number 11, The Life of a Compulsive Crafter! Congratulations Mae!! 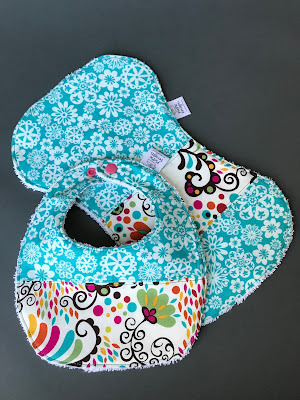 Please email me to claim your prize and I'll get it shipped out to you! 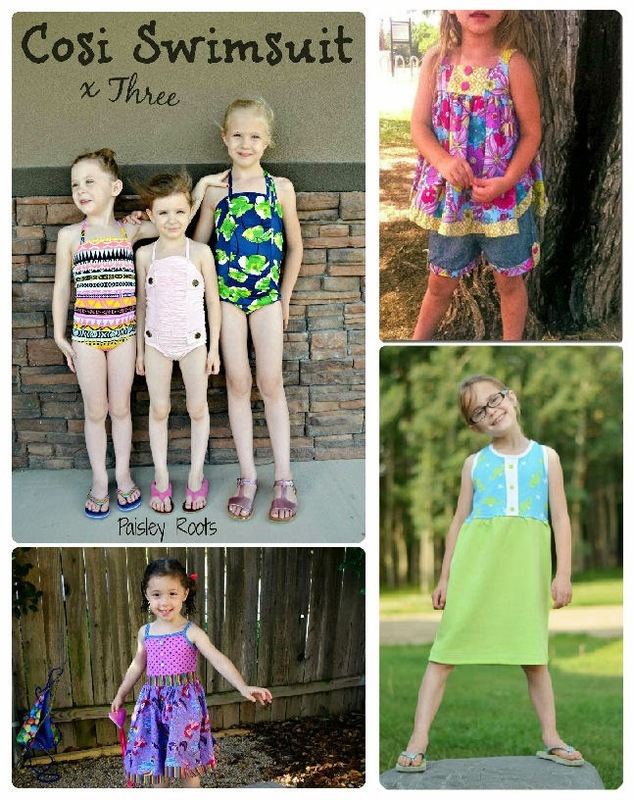 Tuesday Sews will be back in August! Hope to see you then!